Steps: The AUEET 2019 candidates must follow the several steps to complete the application process for AUEET 2019. 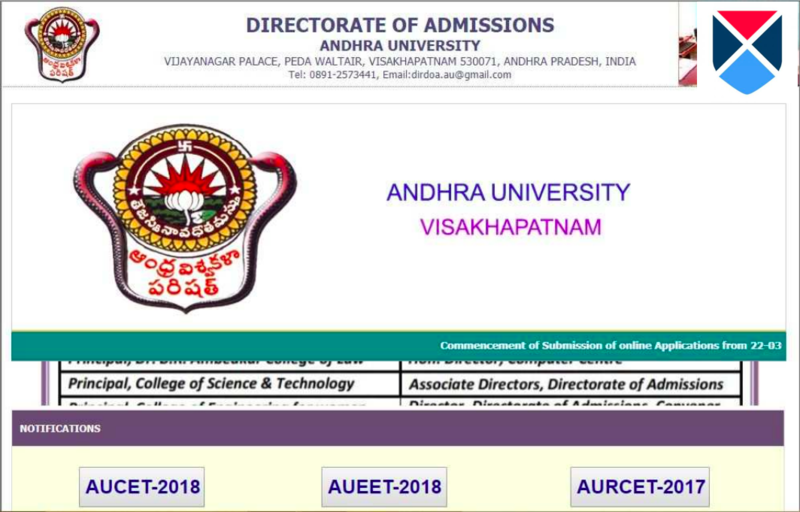 Important Dates: Candidates can find all the important dates regarding AUEET 2019 Application form, exam date, results, counselling, etc. 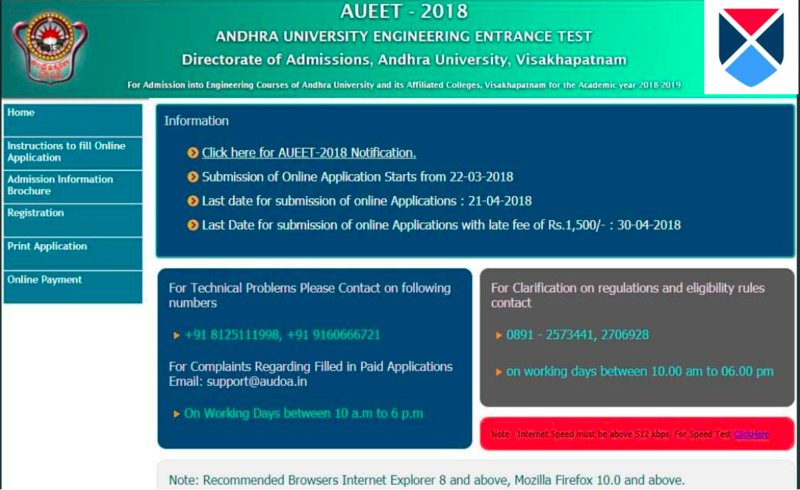 Eligibility: Only candidates who have completed the application process are eligible for the AUEET 2019 examination. Applicants need to know about all the information regarding AUEET 2019 Eligibility. Application form: For information regarding AUEET 2019 fee details, documents need to be uploaded, recommended browsers to fill the application follow the Application form section. Syllabus: Before attempting the AUEET 2019 examination, it is important to know its Syllabus, Exam Pattern, Reference books. Basically, there are six steps to complete the AUEET 2019 Application Process. Step 1: Landing to Official Site. As the first step, the candidates have to visit the official site of AUEET 2019 (http://audoa.in/) in order to fill the application form. Then click on "AUEET 2019" to continue the Application Process. Candidates will be redirected to the following page as shown below. 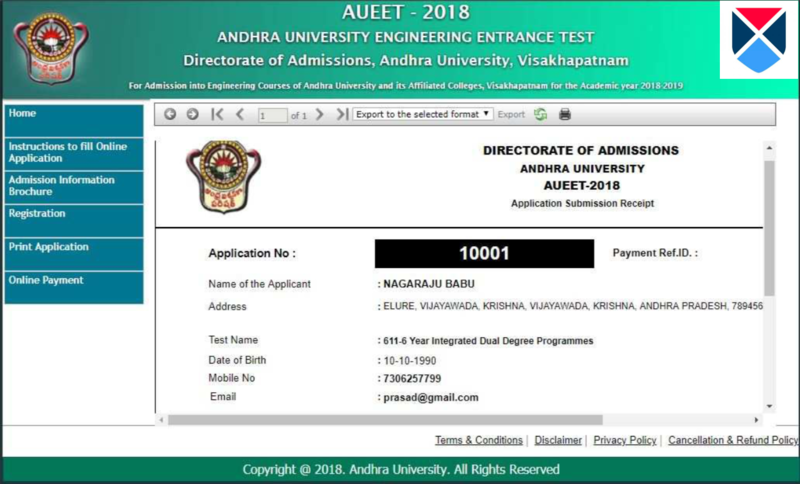 Click on the AUEET 2019 Registration button which is present on the left-hand side of the browser. Step 2: AUEET 2019 Registration. 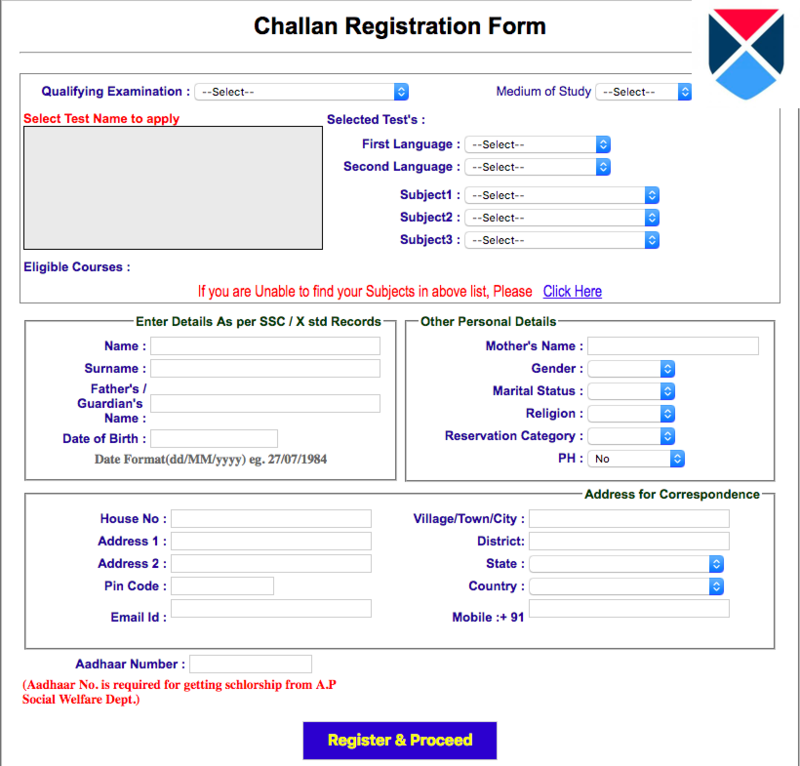 After clicking the Registration button, the candidates will be redirected to AUEET 2019 Challan Registration page. Here the candidates have to enter the following details. After entering all the above details, click on Register and Proceed. Then the candidates will be automatically redirected to the Academic details filling site. 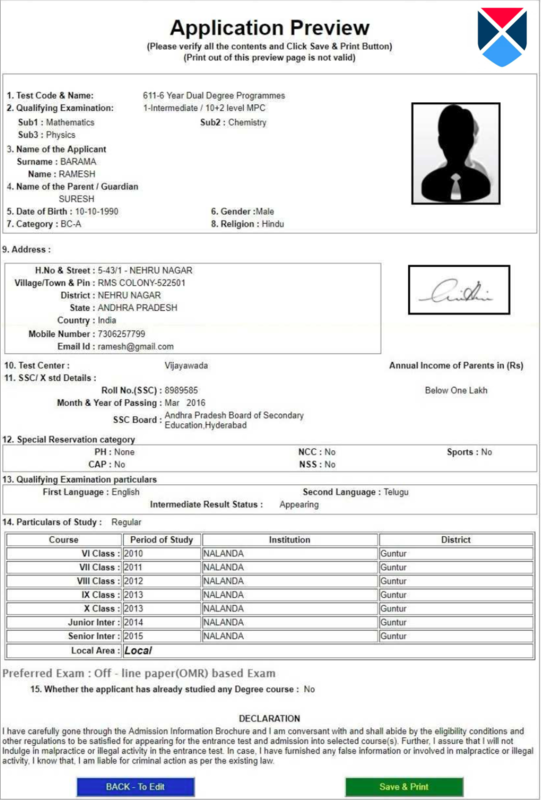 Here the candidates have to enter their details from class 6 to class 12 regarding Place of study, District, and Period of study. After entering all the details, the candidates will receive an OTP on their mobile, which has to be entered here and proceed further by clicking the Save & Print button. Here the candidates have to select their payment mode and proceed to the AUEET 2019 payment. After the successful payment, the candidates will receive the confirmation status. The candidates can print their AUEET 2019 Application form by clicking on "Print Application" button. Then the candidates have to enter their AUEET 2019 Application Number and Date of Birth. It should be noted that the registered applicants will receive a copy of their application in their email. With this step, the AUEET 2019 Application Process gets completed.